Programs such as the Home Adaptations for Seniors Independence (HASI), and the Residential Rehabilitation Assistance Program (RRAP) that provide funding for disability-related home renovations, are available for low-income households, seniors, and persons with disabilities. Financial assistance takes the form of forgivable loans or non-repayable contributions and can be used to fund repairs, renovations accessibility modifications, the creation of low-income rental units, and home adaptations. 1) Seniors Emergency Home Repair program provides up to 50% of costs to a limit of $1,500 for necessary repairs to a home. 2) Disability Support Program provides limited funding for home adaptations, administered by the Social Programs Division. 3) Cost share with Canada Mortgage and Housing Corporation (CMHC) who deliver the Residential Rehabilitation Assistance Program (RRAP). Order the CMHC FlexHousing Publication: Describes an innovative approach to home design, renovation, and construction that emphasizes accessibility and is engineered to adapt at minimal cost to the changing needs of occupants over their lifetime. Builds custom-built accessible homes. 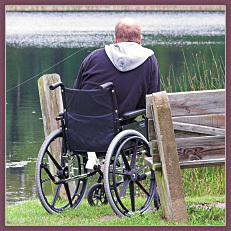 Can do renovations to current homes to facilitate independent living for persons with a mobility impairment. "A threshold for some people is just a step-over, but to some it’s like a concrete barrier." Contact the Aboriginal and Diversity Education Consultant. Completely accessible in Summerside. Limited accessibility in the Charlottetown and Montague locations, but does provide students who have a mobility disability with online training from home (or another location that they may prefer). An interprovincial cooperative agency established in 1975 by the Ministers of Education of the four Atlantic Provinces. It is authorized to provide educational services, programs, and opportunities for persons from birth to 21 years of age with low incidence sensory impairments, including children and youth who are deaf, deaf-blind, hard of hearing, blind, or visually impaired. Acts as a resource base for regional universities, providing consultation regarding students and programs. Online resource provides all the necessary resources (from interactive planning tools to information about savings programs, student loans, and scholarships) to Canadians facing important decisions when saving for, selecting, and financing their postsecondary education. The only francophone community college in PEI with post-secondary programs delivered from Wellington, Charlottetown, and Deblois. It is equipped with video conferencing systems and computerized data networks for distance learning. Nationally recognized educational institution with an accessible campus in Charlottetown. For full-time craft students who are residents of Prince Edward Island, studying at a recognized institution of craft and design in Canada. Policies on diverse educational services in schools for the education of young people with a disability are contained in the Minister’s Directive available online. The Department also maintains a fund for assistive technology (AT) devices in schools. A designated accessible parking space is provided. Offers the option of student loans to pay for the initial administration costs, course fees, and living allowances for post-secondary education. Primarily engaged in job counselling, job training, and work experience for unemployed and underemployed persons and persons with disabilities. Offers general employment skills training, career exploration, upgrading programs, specialized training in a number of areas, and community development and entrepreneurship training. Call to check program accessibility if you are a student with physical, mobility, or intellectual disability or a mature student with a disability. Contact: Velda Crane, Coordinator of Student Academic Support. Increases public awareness of issues and concerns affecting the educational resources and environment of students with disabilities, as well as information on access to postsecondary education and the labour market for post-secondary graduates with disabilities. "Moving On" is a downloadable online transition guide in PDF for high school students. (www.neads.ca/movingon) The PEI representative is UPEI student Paul Cudmore. Advances literacy for the people of Prince Edward Island. Committed to creating an accessible and inclusive community for all students including equal access to University services, programs, and facilities for students with disabilities. Works through "Prior Learning Assessment Recognition" (PLAR) and the "Essential Skills Program" in partnership with businesses, unions, and organizations to assess learning needs and recommend a variety of programs to meet the needs of your employees.